Alzheimer’s Society personalisation programme is working to ensure people with dementia have choice and control over their own care and support. All people affected by dementia having personal choice and control over their health and wellbeing from diagnosis to end of life. Ensuring the legal right to self-directed support and personal wellbeing is understood and available to all people affected by dementia. Making all forms of personal budget dementia friendly. 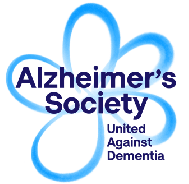 Alzheimer’s Society recognised as a global innovator and leader in personalisation and dementia.